If you operate in a business or industry with very specific coil needs that are not easily met by standard products on the market, you need to order custom coils that can meet the exact specifications of your application. If you’re ordering custom coils, you want to purchase them from a manufacturer who you can trust to provide you with a standard of quality that you need. In that case, you need Sag Harbor Industries. As a well established and industry leading producer of custom coils, you can trust us to engineer and manufacture the best coils for your product. If you choose to order custom coils from Sag Harbor, you’ll notice the customer focused nature of our approach to every project. We build a relationship with our customers and take their feedback very seriously as we develop a product for them. From design specifications to the exact materials used to construct the coils, we keep a steady stream of communication between ourselves as the manufacturer and you as the vendor. You can expect us to treat you less like a customer and more like a partner throughout the duration of your custom coil project. You can also take advantage of our unique value added services like 24 hour response time, RoHS compliance and on-site communication. We provide this added support as a compliment to all of the quality products that we offer. We stand out from the competition by employing a set of principles that has more than just the bottom line in mind. While we want to provide you with affordable solutions, we also know that the cheapest option isn’t always the best, so we focus on quality. 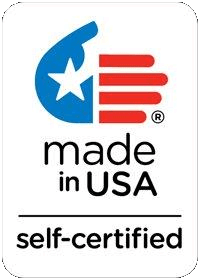 Our products aren’t just assembled in America, they’re actually made in America, a choice that harkens back to our founding in 1946 as a truly American company for American industries. We’re proud to contribute to the local workforce and be a small part of the national economy. Contact Sag Harbor Industries today to discover our custom coil capabilities and request a quote for your next project. We look forward to working with you! Sag Harbor Industries Inc. is a unique company because we’ve been manufacturing high quality coils right here in America since 1946. Ever since, we’ve been creating coils with unprecedented craftsmanship. Founded by Charles Edison, the son of the innovative Thomas Edison, Sag Harbor has always prided itself on using the best technology to create the best products of industries across the country. Just like our founder and his father, we continue to pursue innovation in design, manufacturing and production. Our customers trust us to provide innovative solutions that are customized to meet their needs. Among the many products that we manufacture are field coils. Field coils are used to generate a magnetic field a an electromagnetic rotating machine like a generator or motor. In this setup, a rotator spins around a stator, and this creates a continuous loop of magnetism between the two. Generators and AC motors almost always use field coils to create and maintain their magnetic field during operation. Field coils are usually wound with a magnetic or a copper coil around a core. Low resistance materials are important to reduce the amount of energy that is consumed. Field coils are used in magnetic shields, sensors and other applications with very high accuracy magnetic fields are required. Sag Harbor’s precision fit winding coils are available with free form specialization for any client. We offer fine wire or heavy duty power coils, and then can be edge wound, strap wound, flat wound, layer wound and even random wound. Among many other types, we offer field coils that are: encapsulated, glass taped, tape wrapped, injection molding, transfer molded and loose wound. We’ve been in the business of manufacturing high quality coils for over 65 years, so you can be sure that our customized designs and top notch materials will result in a coil that works perfectly with your product. Don’t hesitate today to learn more about our products, request a quote, or ask us a question! We’re happy to answer your questions and provide you with a perfect coil solution. Be sure to browse the pages on our website for more information. At Sag Harbor Industries, one of the products that we manufacture and supply to various industries is a magnetic coil. Magnetic coils are a key component in what is known as an analog circuit. An analog circuit can be found in a lot of older technology, like TV or radio antennas. We still use analog technology, but things are becoming increasingly digital. However, very common technology that we use every day like the car radio harnesses analog signals to perform its function. In this post, we’ll take a quick look at how an analog circuit works and why a magnetic coil is so important to the process. Let’s take a closer look! Depending on the device, an analog circuit can either be very complex or very simple. A series of caps, resistors, coils, diodes and other basic electronic components need to be arranged together in a very specific way to create a functional device. In the midst of this set up, a magnetic coil is placed to transfer the electric current and create a magnetic field. This current passing through the magnetic coil is increased by the number of times the wire is turned, meaning that the more times the wire is turned the greater the size of the magnetic field will be. The magnetic core at the center of the coil is what helps to create such a strong magnetic field in the surrounding area. The point of a magnetic coil is usually to exert mechanical force on something so that the desired reaction happens or the desired machinery is activated. A time varying element can be added to the magnetic coil to create pulses of voltage for intermittent activation. This is a very basic overview of how a magnetic coil functions in a magnetic circuit. There are many more complexities, but suffice it to say that a magnetic coil is very important to many analog functions. To learn more about Sag Harbor Industries and our unique manufacturing capabilities, visit our website or give us a call toll free at 1-800-724-5952. We look forward to hearing from you! As a premier coil winding manufacturer, Sag Harbor Industries offers more than generic electric coils. Our coils are made using quality materials in an automated coil winding process, and these can be fully customized to address the specifications of your application. Because we begin every project with a customer focused approach, we know that the most value is created when you get exactly what you are looking for. Different environments call for different designs, and we believe in making things that last, no matter where they will be used. We have been in business since 1946, and craftsmanship and customer service have always been central to our work. Evidence of this commitment can be seen in our company’s success and our expertise in the industry. For electric coils, our services include: custom wound and finished coils, prototype and production quantities, turnkey and kitted opportunities, insulation systems, encapsulation and molding options. Our engineering support team can gather the necessary information about your product and then work to create something functional that includes the features you are looking for. We can develop prototypes for you to test in your application, and then scale up to full production run offs once we have created an electric coil that works for you. This value-added service helps you discover what you need and saves you money by creating something that is both durable and functional. We have served industries like aerospace, military and automotive because they trust our process and they know that we can manufacture the best electric coils at an affordable price. We pride ourselves on offering 24-hour response time when customers need our feedback or support. At Sag Harbor, we do everything we can to be efficient because we know that your business never stops. We’ll optimize our production process to keep costs low and save time without compromising the quality of your electric coils. To request a quote or inquire about our various products and services, call 1 (800) 724-5952. We would be happy to answer your questions and offer advice. Find out for yourself what the Sag Harbor advantage is all about! An air coil is a special type of electromagnetic coil that is able to cause induction without using any ferromagnetic material. At the center of the coil is literally just a pocket of air. This is why it is also sometimes referred to as an “air core coil”. Because they are capable of handling such high frequencies, air coils are used for applications like microwaves where their high tolerance is still very important. Many military and aerospace devices also utilize air coil technology because the inductance caused by air coils is not disrupted by changes in the current. Coils that are made with ferromagnetic coils tend to reach a peak even a moderate magnetic field strengths. In contrast, air coils have a very high range and can accommodate greater strengths. Most radios rely on air coils to help them transmit a clear signal. Air coils are also totally unaffected by “iron losses”. Iron losses affect ferromagnetic coils to a higher and higher degree as the frequency rises, so eliminating these all together with an air coil increases efficiency and limits distortion. Due to the absence of a high permeability core, air coils are made with larger turns to facilitate the right inductance value. This isn’t really a problem at all when you are dealing with high frequencies, because you don’t need inductance in those situations. To limit any loss of energy that is caused due to presence of nearby electromagnetic radiation, air coils can be wrapped in a screen that provides protection. Whether your product needs air coils, or some other type of electromagnetic coil, Sag Harbor Industries Inc. has the right solution for you. We can design and manufacture custom coils in a timely manner. Our state-of-the-art manufacturing equipment makes us ready to meet all of your needs and produce coils in high and medium order volumes. All of our products are 100% made in the USA. For over 65 years, Sag Harbor has been offering high quality electromagnetic solutions, so you can trust our experience and expertise. Call us today at 1 (800) 724-5952. The name “inductor” is just another term from an electrical coil. An inductor has two terminals and it passively resists changes in the electric current. The inductor stores energy in the magnetic field while the current is being applied. Voltage is induced only when the current passing through the inductor changes. Most inductors are built with a magnetic core that helps to increase the magnetic field and enamel coated wire is wrapped around the core to increase the magnetism. Inductors of varying sizes are used in a wide variety of common electrical applications, including radios. Inductors in radio equipment allow for an alternating current that is free from interference. The inductors that are used in radio equipment are extremely small; sometimes they are only a few millimeters across and consist of a few small turns of wire. Because a radio is essentially an AC (alternating current) application, an inductor is necessary to make sure that the device reacts properly to AC signals of different frequencies. Without this small component, the radio would not be able to handle all of the variations in the incoming frequencies and it would be totally useless. As mobile electronic devices that use radio frequencies have become smaller and smaller, engineers have had to find ways to develop even smaller inductors. Some inductors are now just a fraction of a millimeter in length, making them small enough to be integrated into a circuit board without taking up the limited space in a mobile device. At Sag Harbor Industries, we specialize in manufacturing inductors for a wide variety of products and applications. If the inductor you need doesn’t already exist in our line of products, we can work with you to create a custom inductor. Our design and engineering team is capable of creating a perfect customized solution for your needs. Once we’ve come up with a working prototype, we will put an optimized manufacturing process in place to make your custom inductors as efficiently as possible. We do all of this because we want to put our customers first by being flexible enough to meet their needs. That’s the Sag Harbor advantage. Electromagnetic coils carry an electrical current from point A to point B to create a reaction that activates a device. Depending on the power source, the voltage that is passing through the coil can vary greatly. In some applications, like a car’s ignition system, the voltage is very high. To control and conduct this electricity, the system needs high voltage coils that are capable of safely using the energy. At Sag Harbor industries, we manufacture high voltage coils that are perfectly suited to your application. We can even work with your product engineers to develop a customized coil setup that works with your new product. When it comes to working with electricity, safety should be at the top of everyone’s priority list. Too many preventable accidents take place every year because of poor electrical engineering or the use of components that cannot handle high volumes of electrical current. When you work with the experts at Sag Harbor, you’ll find that we take our manufacturing approach very seriously to produce quality products that operate efficiently in under any conditions. As we mentioned above, high voltage coils can be found in the ignition system of a car. The coil helps to convert voltage from the car battery into sparks that are produced by the spark plugs to ignite the engine when the driver turns the key. The ignition coil is usually encased in epoxy or oil to help insulate and contain the high voltage that passes through when the battery is activated. Ignition coils are made to be strong and durable, not only to withstand the high voltage that passes through them, but also to continue working in the harsh conditions of a vehicle in any weather. A high voltage ignition coil is subject to heat, extreme cold, moisture, corrosion and a host of other variables. Sag Harbor Industries manufacturers high voltage coils for clients in the automotive industry, as well as many other industries with high voltage power sources. Contact us today to learn how our expert engineers and technicians can create a customized coil setup for your product, or how one of our standard products could be used in your business. Coils are essential to the successful operation of most electronic and electromagnetic devices. Although we produce a variety of standard electric, encapsulated, field, modeled, self-supported, solenoid and varnished coils; we also offer custom coils to our customers. At Sag Harbor, we understand that there are thousands of unique applications across all industries. Each product requires a slightly different solution, and we manufacture custom coils to reflect that need. Custom coils are just part of our customer focused approach where we do everything in our ability to exceed expectations and manufacture high quality products. Our decades of industry experience have made Sag Harbor a trusted and respected coil manufacturer. In recent years, we have expanded our support services to offer design and engineering. Rather than present you with blanket solutions, we will assess you needs and then develop a coil that meets the dimensions and electrical specifications of your final product. This level of customization prevents any compromise in quality; a reflection of our desire to always offer quality craftsmanship. All of our custom work is done in-house, which means customers benefit from the efficiency and cost savings of our advanced capabilities. Rather than outsourcing specialized steps in the coil manufacturing process, we can implement an efficient new manufacturing process for custom coils that draws on our many years of fabrication expertise. Customers have utilized our custom coil manufacturing services to develop parts for use in applications like chemical immersion, jet engines, anti-corrosive coatings, space communications and more. What makes Sag Harbor unique among competitors is that we have a highly adaptable team of personnel with the right equipment to match their skills. Because of this, we can switch from one challenging project to the next, even if the specifications of the coil are unlike anything we have ever made before. During the pre-production stage, we encourage our client’s engineers and design experts to be involved. Our own engineers are able to design coils based on specifications or concept drawings, but we value input from the outside so that we can design a product that is truly exceptional and meets the exact needs of your product or application. Coils are used in many electromagnetic, electromechanical and electrical applications that are needed in almost every industry you can imagine. From clocks to cars to medical equipment, coils are an essential part of many complex or simple items that we use on a daily basis. An electromagnetic coil is formed when a conductive metal is wrapped around a core to create electromagnetic waves. This is necessary in situations where electrical currents interact with magnetic fields, like in a transformer on a power line. The shape of the coil increases the strength of the electromagnetic field when a current passes through it. An electromechanical coil, perhaps known more commonly as a solenoid, uses a similar process. The purpose of the solenoid is to create a controlled magnetic field. The coil in a solenoid is usually wound around a steel or iron core. The level of control made possible by a solenoid can be very useful at short ranges because of its very quick response time. Fuel injectors in a car, for example, are usually controlled by solenoid so that they can turn on or off based on the demands made by the person driving the car. As soon as the ignition is turned to the ON positon, the fuel injectors need to be activated to send fuel to the engine, and they need to stop the moment the ignition is turned off again. Electrical coils use all of the principles discussed above, but they are the most basic form of a coil. They can be made out of various kinds of metal based on their conductivity needs, and can be found in common units like household appliances. The coils that are manufactured at Sag Harbor Industries are sold to clients in many lines of work. Our coils are all made right here in the USA, and we offer solutions for every possible type of application, from solenoid to electrical to molded coils and more! We even manufacture self-supported coils that can be used in irregular or uncommon applications. Because Sag Harbor Industries has been a trusted manufacturer of coils for 70 years, we are known for the quality and high level of performance that comes with each of our products. Here at Sag Harbor Industries, we have long been a leading manufacturer in the premier coil winding industry and we have a great deal of pride when it comes to being able to offer high quality electric coils that match our customers exact wishes and specifications. With a wide range of state of the art equipment and machines at our disposal in addition to our strict quality assurances, you can be sure that any electric coils you receive from Sag Harbor are of the highest of quality and built to fit your exact needs based on your applications specifications. We serve a number of different industries such as the aerospace industry, military and naval sensors, automotive industry and control systems across a number of different applications. If you are looking for an electric coil for any industries that isn’t listed, fill out a form on our Contact Us page to see if we can supply a custom electric coil for your application. With multiple production capacities such as multi-headed automatic winding equipment, ultrasonic and fusion welding, hand & dip soldering, and many others, you’ll be sure to find the options you need at Sag Harbor Industries. In addition to our variety of capacities, we also offer value added services in order to meet your applications requirements such as RoHS compliance per your request, on-site communication with our direct service, a twenty four hour response time for any questions you may have and so much more. We work with you every step of the way to ensure that you receive the product that you need, and with our ISO 9001:2008 certification you can be sure that all of our products, facilities and methods meet and exceed all industry standards. We are proud to say that all of our electric coils are both made and assembled in the United States of America. The more electronics grow and evolve, the more frustrating they become to some people. Mostly due to the fact that there are so many different electronics to own and know how to use. From finding the compatible remote to turn on the Blu-ray player to knowing the right channel the game is on out of literally thousands of options, electronics can be a difficult thing to master. One other complication that comes with a number of different electronic devices is that many of them require a different voltage level in order to function properly and safely. Nowadays most products come with their own transformers that manipulate the voltage from an outlet into the acceptable voltage that the product needs. Other times, a separate adapter must be purchased in order for all different products to work from the same outlet. Transformers work by taking electrical energy and from one electric circuit and then sending it to another without changing the frequency. Now as technology advances and we see more and more electrical devices, a lot of manufacturers and companies are making their products a bit more user friendly by including transformers with their devices. If you happy to purchase a product or industrial machine that requires a transformer, be sure to check in with us to figure out which transformer is best suited for your unique application. When talking about electric transformers, there are a number of different types that are able to provide different forms of power conversion for any number of specific applications or purposes. From high voltage transformers to low voltage transformers, they come in a variety of shapes and names such as auto, isolation, zig zag, pulse and toroidal transformers. Each name is based off of the functionality of the transformer. In this article, we would like to focus on the pulse transformer and mention a few applications where they can be found. A pulse transformer interfaces a pulse forming network and a load, these transformers operate in a direct current mode. The reason they are called pulse transformers is because they release stored energy in a pulse. These transformers work at high frequencies normally, and require low loss cores. Pulse transformers are often found in detailing logic and telecommunications operations such as radar equipment, camera flashes, and even particle acceleration. A lot of times these transformers are used in electronic circuit applications, and in the digitization of computers. Pulse transformers are born out of necessity as we continue to strive to reach our highest potential. As it is often said, necessity is the mother of invention. There are numerous kinds of transformers and each performs their own unique fashion that makes them ideal for specific applications. In order to know what is best for your application, contact us today and we will let you know if a pulse transformer will fit your application. Step down transformers are often used to power appliances in other countries, they are also mostly used in power generating stations in order to increase the voltage while decreasing the current. These transformers can come in handy for traveling Americans as certain appliances such as a microwave are not quite as popular in foreign countries as they are here in America. In fact, some countries don’t even sell them. However, if you find yourself in a foreign land and have a need to use your microwave, a step down transformers is needed. These transformers allow for a decrease in voltage of electric currents to an acceptable level for the appliance. As stated before they are often used in power generating plants for long distance transmission lines. The high voltages are paired with low currents and when the current reaches the receiving end, the voltage is lowered and the current is then increased in order to power the needed device. Because of their higher efficiency and lower losses these transformers are ideal for lowering voltage levels until they are right for home or business use. Smaller versions of these transformers can be used in televisions, electric razors and other portable electronic devices in order to the prevent short circuits or preventing the product from catching fire. The transformer works through the electrical wiring that is around an electromagnet and by transferring the electrical energy through two coil stages. The first coil typically contains more wiring, while the second coil has fewer, this allows for the reduction in output voltage. Through this intricate system high voltage is converted to low current power and low voltage can be converted into high current power. Blowing a fuse is a common occurrence in households all around America. Electricity is a delicate thing to handle, too much and it can be hazardous and too little is its own problem. In order to ensure that the proper amount of power is going to a particular item, a transformer is required. Low voltage transformers can be a lifesaver in certain situations. The common voltage levels of power outlets is typically around 120 volts, however not all devices need 120 volts, and a lot of them wouldn’t even be able to handle that much power. This is where low voltage transformers come into play. They can turn 120 volts into 12 or 24 volts, in order for small devices to operate properly without hazard. These transformers are able to be very small because they do not need to process as much power as their high voltage transformer counterparts. Many times electronics are sold with their low voltage transformers included so consumers do not have to worry about damaging their new cell phone, camera, or media player. Occasionally, the low voltage transformer can be fitted directly in the device in order to keep things aesthetically pleasing while also keeping the product and user safe. The world we live in often revolves around numbers, from the numbers in our bank accounts to the square footage of our homes to the number of cups of coffee we need in the morning. However, not everything is measure in the same units. Pizza’s come in a variety of slices, TV screens are measured in inches, and your cup of coffee holds 10 fluid ounces. Electricity is no different as it is measured by a certain unit; transformers measure the amount of current that is flowing in an electrical grid circuit. Transformer manufacturers must take a number of factors into account when building a transformer to ensure accuracy. Some of the factors to consider include: burden class/saturation class, temperature, load, physical configuration, rating factor, external electromagnetic fields and many more. The build of an electric transformer is simply a primary winding, secondary winding and a magnetic core. The current flows in the primary creating a current in the second winding through the magnetic core. When both of these circuits are working properly an accurate reading can be produced. Each country has a different way of measuring current transformers, so manufacturers must pay attention to the transformers destination while building it. The two main units of measurement are IEC 60044-1 (BSEN 60044-1) and IEEE C57.13 (ANSI). It is important to ensure constant electric supply through measurements to ensure we can all carry on with our day to day lives. Electric transformers provide a safe way to bring electricity into our homes and power the things that we use in our everyday life. From our televisions to our kitchen appliances these machines convert the volts coming from our outlets to our electrical devices. The issue lies in that electricity is pumped out from power plants in large volumes and need to be converted down in order to be suitable for our electrical appliances. Many phone chargers carry small electric transformers in order to convert the electricity into a safe capacity to our phone batteries. There are many different types of transformers due to the nature of the application. Zig Zag transformers for example, are a three phase power transformer that has the ability to filter and control harmonic currents and be used underground. The underground systems are useful in order to protect against earth faults. Zig Zag transformers can offer numerous benefits over other transformers. They tend to be a simplistic design which makes them low in cost and can be easily installed onto existing systems. By keeping neutral currents local, these transformers are able to eliminate the need for large neutral wiring. They also improve the fundamental load current. While they are low cost, another cheaper alternative is the delta-wire transformer. The only issue being that this model is less effective than the zig zag model in some applications due to higher internal impedance. Solar Flares are a growing topic among those in the scientific fields; these cosmic storms have the potential to cause a great deal of havoc to our planet. Now the amount of damage that these storms will cause all depends on who you ask. Some say that we could see the end of the world thanks to these solar flare storms others say we won’t see anything more than auroras across the sky. While these storms are still somewhat of a questionable topic, the fact of the matter is that they carry consequences with them. We may be unsure of the scale of damage these consequences may have, there is no denying that they could cause a big disruption to our everyday life. There have been some minor storms that have already hit earth, but they didn’t result in anything more than auroras across the sky. If these storms were larger power grids, GPS, electric transformers and radio communications may fail. One electric transformer being knocked out is not that big of a deal, those affected would be annoyed until it was fixed. But if hundreds of these transformers were knocked offline there would be major problems. So for now be glad that these storms have remained small and only provide us with spectacular light shows. There are a number of different electric transformers available that provide specific forms of power for numerous applications. From high voltage to low voltage transformers and all the types in between such as isolation, auto, zig zag, toroidal, and pulse transformers. Each of these transformers has a specific purpose and fits into very specific applications. It’s important to know what type of transformer you are looking for so that you can get the best possible result. In this post we will be taking a brief look into pulse transformers and what they have to offer. Pulse transformers release stored energy in the form of a pulse; this is where they get their name. They typically operate in direct current and interface a pulse forming network and a load. Because these transformers operate at a high frequency they require low loss cores. Pulse transformers are often found in detail logic and telecommunications operations such as camera flashes, radar equipment, and particle acceleration. They are also found in the digitization of computers as well as in electronic circuit applications. Pulse transformers have even been used in the aerospace industry to alter the surface properties of some components. Pulse transformers are able to meet the very specific operating requirements for this application. There are many types of transformers and the number will continue to grow as the manufacturing industry expands and processes evolve. As the industry evolves we will need more focused and specialized equipment in order to get the best possible end product. Always be sure to research your options before purchasing to make sure you are making the best decision for your needs and application. Many different applications require the use of high voltage transformers. These transformers are used in cases where large amounts of electrical energy are involved, and they are usually used to convert large voltages to smaller voltages. Conversion allows low power electronic devices to run on the supplied electricity without being damaged or overheating. Like other transformers, high voltage transformers utilize magnetic induction between coils to make this conversion from high to low voltages. They can also incorporate other features like electrical isolation, power control, and instrumentation. High voltage transformers can be constructed in single-phase or three-phase configurations, which typically determine the size and cost of the device. When looking for a high voltage transformer, it is important to consider your applications and the necessary features and capabilities of the transformer. Some of these specifications include the maximum secondary voltage rating, maximum secondary current rating, maximum power rating, and output type. A single transformer can supply more than one secondary voltage value, and transformers can be designed to provide AC or DC outputs. You should also consider the maximum primary voltage rating, as the transformer will need to be equipped with additional primary windings if you plan to use several nominal voltages. Besides single-phase and three-phase, high voltage transformers can be constructed in many different configurations. Some of these include current transformers, step-down transformers, step-up transformers, auto transformers, isolation transformers, and more. They can also be built with laminated cores which are surrounded with a non-conducting material to help reduce electrical losses. Toroidal transformers are another option, and these transformers are constructed by wrapping copper wire around a cylindrical core, ensuring that the magnetic flux occurring within the coil doesn’t leak out and influence other components, which supports overall efficiency. There are many different transformer options, and it can be a challenge to determine exactly what you need. However, discussing your applications with an experienced transformer manufacturer is always a good way to figure out the right solution for you and with the considerations mentioned here, you should be able to find exactly what you need! As we all know, a fallen power line is dangerous. Not only are they dangerous, but they wreak havoc on those who lose power from them in their homes or businesses. Life seems to temporarily stand still. Luckily, fallen power lines do not happen often, but when it does happen, everyone’s lives need to adjust. In this article, you will learn about the basics of how power is distributed through the power lines and how transformers allow consumers to get power through the conversion of electricity. There are many different types and sizes of electrical transformers, but the end result is the same. The purpose of transformers is to transform electrical energy by alternating the input to output of voltage levels. Transformers can be very larger in size like those that are installed at power plants, or very small for use in electronics. While they are used in many electrical devices, their main use is to transform power to provide electricity to the world. During the transformation of power, there are many transformers in use in order to make sure the power is converted in an efficient and safe manner. Power plants generate power and it is then sent out to the world through electric lines. Since the power created at the power plants is very high in voltage, high-voltage transformers will be placed first in line to step-down the voltage. As the power decreases from transformer to transformer, it becomes safe for output into individual homes and businesses. Low-voltage transformers are then used to step-down the voltage levels for the last time on the outside. From the inside of buildings, electrical devices will internally step-down the levels for their own use. In response to the growing need of reliable coils, SAG Harbor Industries continuously researches and innovates to create the most cost effective and reliable products. As technology advances, a majority of newer applications require very strict power requirements and SAG Harbor is always adapting to the changing needs of the market. Products that require low maintenance are easier for electric coil manufacturers to design more versatile coils. By equipping the coils with reinforced insulation, high voltage coils can be specialized to improve the quality and reliability of the coils. There are several methods of insulating electric coils, but one popular method is called vacuum pressure impregnation. Vacuum Pressure Impregnation removes air, moisture and gas from the high voltage electrical coil while offering better heat distribution across the entire system. By providing an insulating epoxy, polyester or silicone resin in this type of electric coil insulation method, the lifespan, durability, and resistance to chemicals are greatly improved. There are two primary types of high voltages coil which include Tesla coils and ignition coils. The average automotive ignition coil generally has an output of 30,000 volts and is known for its relativity inexpensive design. High powered Tesla coils can typically generate many megawatts of electricity and these products have a long history of experimentation for providing wireless energy. This technology has been heavily researched, but the concept of applying wireless energy to everyday applications has never taken full effect. As technology advances, so do the creators and problem solvers in electric coil manufacturing. Both Sag Harbor facilities, located in Farmville, NC and Sag Harbor, NY, are ISO 9001:2008 registered. Most recently our North Carolina facility has been certified once again as an ISO 9001:2008 company by NSF International Strategic Registrations. To view our ISO 9001:2008 certificates of registration, please follow the links provided. Isolation transformers are designed to do one thing: isolate electricity. An isolation transformer works by separating the source of the electricity from the device the electricity is supplied to by distributing electricity to the device. Unlike most other transformers that change the voltage of electricity, isolation transformers are used to prevent unwanted electricity from escaping while still controlling the electricity transmitted. Isolating the electricity is essential for many electronic devices, such as electric shavers, hair dryers, and straighteners. As a safety precaution, isolation transformers play a dual role by not allowing unwanted discharge from these devices over a sink. Much like a ground circuit, isolation transformers behave in the same fashion by reducing noise and stopping discharge. Reducing noise is essential in a variety of electronics, such as televisions. Noise will cause the displayed image to be altered. In reverse, isolation transformers will improve unclear or fuzzy signals into clear ones. Isolation transformers are essential to improving and stabilizing our technology as well as making them safe to use. Electric transformers are used to transform electrical energy into different voltages. Conceptually, transformers alter the voltage from high to low or from low to high energy. The transformation of electrical currents allows electricity to be transported between power lines and wires so that it can power different types of applications. One example is the use of transformers that provide power through power lines that can be seen on the side of the roads. Depending on their application, electric transformers range in size, power level, and capability. In essence, the main goal of transformers is energy transportation. In the case of light and power situations, the goal is to transform higher levels of voltage from power plants to lower levels of energy used in homes and businesses. Even appliances in your home have small transformers to reduce the power even more so that the device does not become overpowered and break. The most common type of electrical transformer is the three-phase transformer, but there are also single-phase transformers for use in lower energy levels. Toroidal transformers are transformers made from a wire coiled around a circular magnetic core. This transformer model is actually the smallest type of transformer. Because of their size, they can be used to power products of all shapes and sizes. Battery chargers, amplifiers, medical devices, household appliances, lighting, and even industrial equipment all utilize these toroidal transformers, and they are found in the electronics, meteorology, security, transportation, aerospace, music, and many other industries. These transformers allow electrical signals to be transferred from one circuit to another with a changed voltage without changing the signal frequency. The circular shape of these electronic devices allows for efficient use of space and provides protection from electromagnetic interference. Additionally, their shape does not allow for air gaps which provide low stray magnetic fields and make the component quiet and efficient. One added benefit is that these transformers accomplish all of this with minimal electrical energy loss. The transformer core is fabricated from high magnetic permeability materials like iron and iron compounds which are formed into a ring or donut shape. Wires are then tightly wound around the core to form the primary and secondary coils. When an alternating current is introduced into the primary coil a magnetic field is generated within the magnetic core. This magnetic field then generates a current in the secondary coil. In this way the toroidal transformer transfers electrical energy from one circuit to another with an appropriate voltage for the secondary circuit.